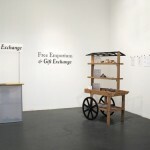 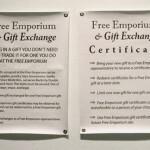 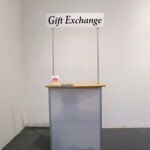 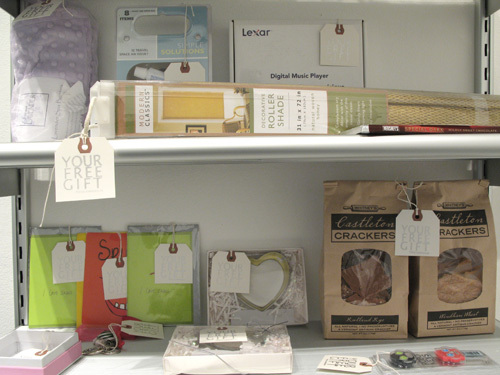 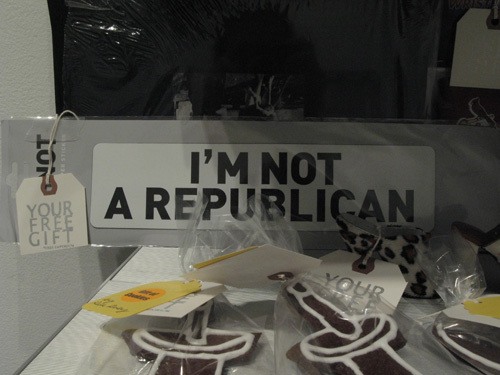 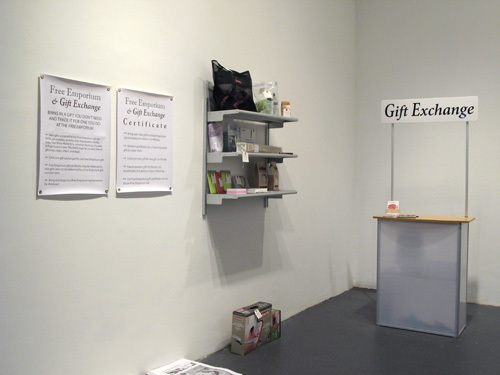 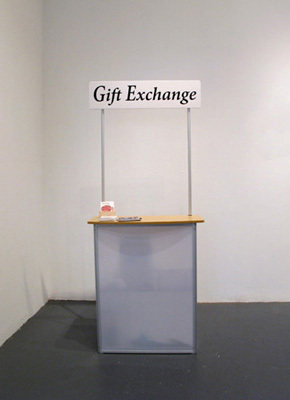 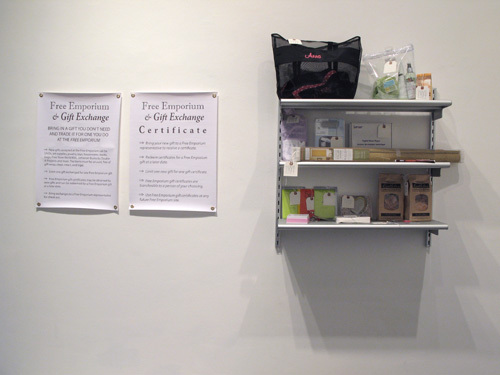 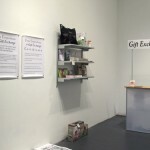 Free Emporium & Gift Exchange was designed for the gallery space Cuchifritos located in the Essex Street Market on Manhattan’s Lower East Side. 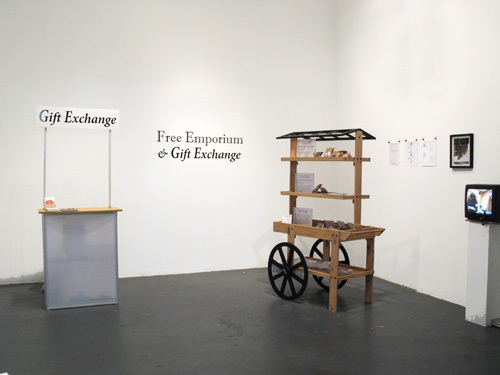 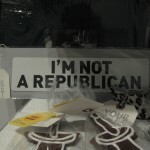 The project presented an interactive installation that took place during the holiday season. 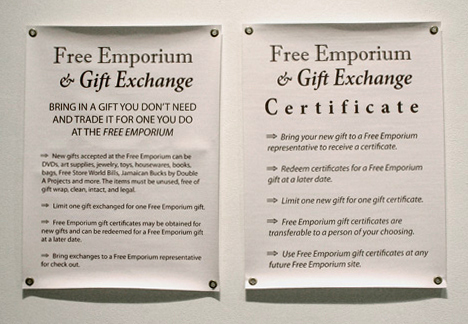 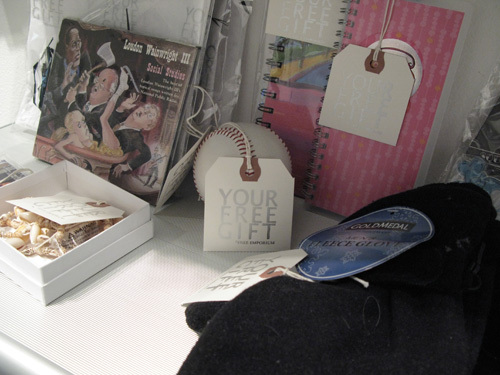 A gift shop among many merchants, Free Emporium offered a gift swap service, inviting customers to bring in an unwanted, unused holiday gift to trade for another. 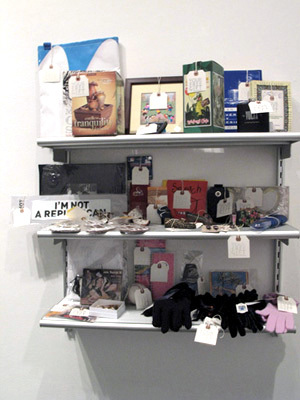 Many participated, resulting in a display of gifts that rotated daily. 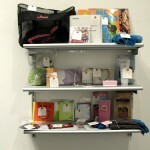 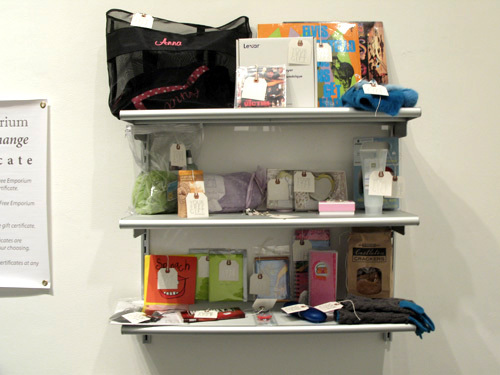 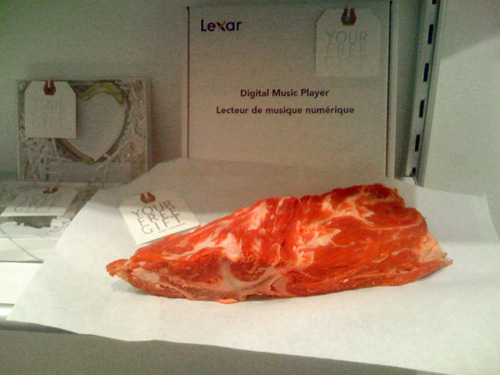 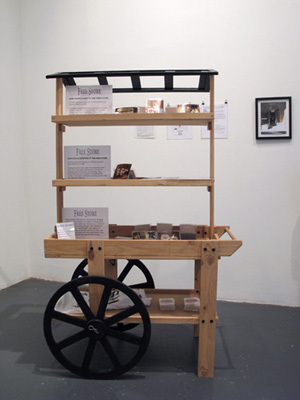 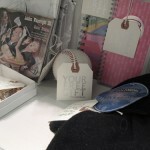 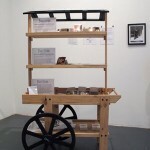 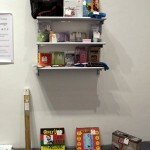 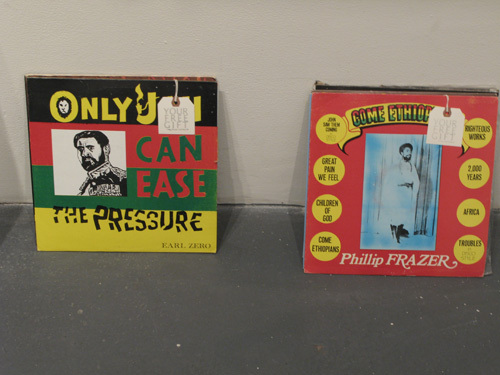 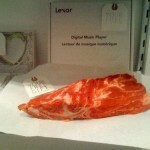 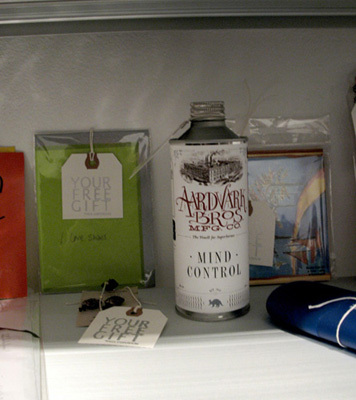 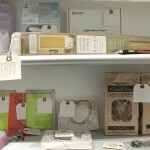 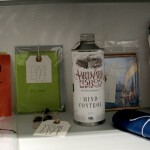 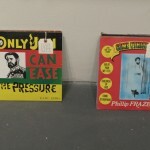 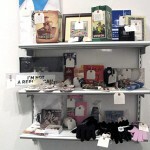 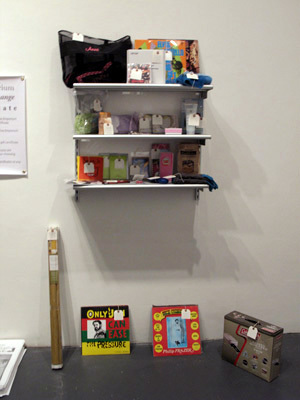 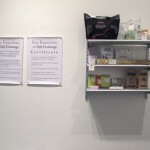 Participants could also browse products and ephemera from the Global Free Store, a previous project.